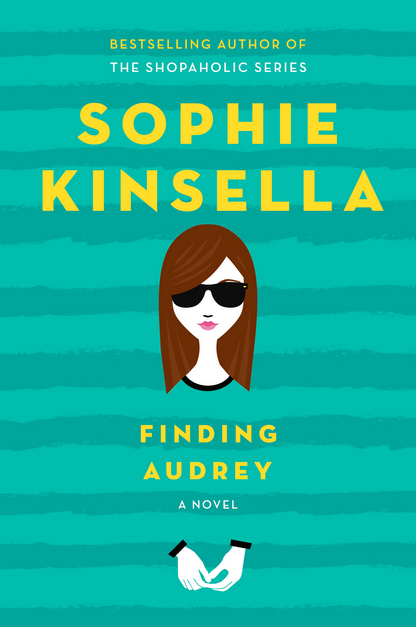 I am a huge Sophie Kinsella fan, her Shopaholic series was one that I loved as I was growing up as I think we all possess a bit of Becky Bloomwood in us, so I was very excited to see how Sophie Kinsella was bringing out a YA book and how she handled the genre. Finding Audrey focuses on 14 year old Audrey who is left pretty much housebound with anxiety after an incident that happened at school. She meets one of her brothers friends and he is one of the key triggers for starting Audrey's road to recovery. Sophie Kinsella has done a fantastic job of introducing such a sensitive topic to a younger audience and she also does a good job of explaining it to people who may not have had any experience with anxiety before. She has very clearly done her research and it comes across in so many parts of the book, from Audrey wearing dark sunglasses all the time, to describing what type of treatment she is going through. Audrey knows there is no reason to panic and yet she can't help it but the dialogue is great at showing it's an internal battle that many people face daily. 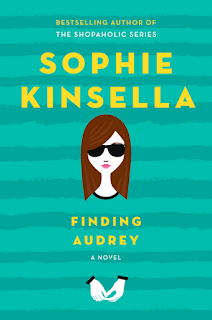 Despite the heavy topic, this is still very light and entertaining, something I've come to expect from anything by Sophie Kinsella. Although this is classed as young adult, I would say this is definitely aimed towards the more younger end of that spectrum. The book is quite short so I managed to get through it in just over a day, but this is also because it was the perfect weather to sit outside and read in so I completely lost track of time as it is such an easy read. For any fans of Sophie Kinsella books or YA that deals with mental health I would definitely recommend giving this a go, and if you are interested in the thoughts that a person with anxiety faces daily this could make for quite an educating read too. I totally agree, she captured everything so well while still keeping it on the light hearted side! I have read everything she has ever written and she is my all time favourite author (well in running with Roald Dahl!) I think she's done great in her first attempt at YA writing.